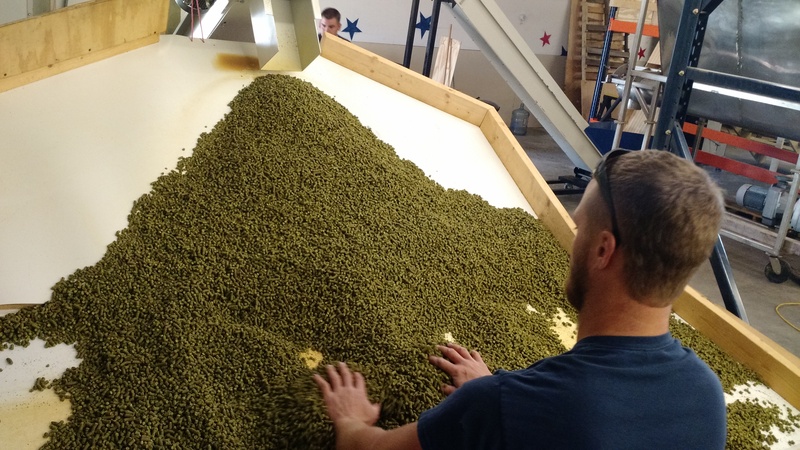 The 2015 Hop Harvest is complete and all the delicious hops are pelleted and safely in freezer Storage. These are Nugget hops that will be making our Flagship NUGGETOPIA over the next 12 months! We were out of Nuggetopia for a while, but we have been delivering it to your favorite liquor and grocery stores and they should have it in stock. If not, let us know where you would like to buy it and we will give them a call. J&M’s in Bellville has it on tap or stop by the Tap Room in Paoli for a pint or take home a Growler!